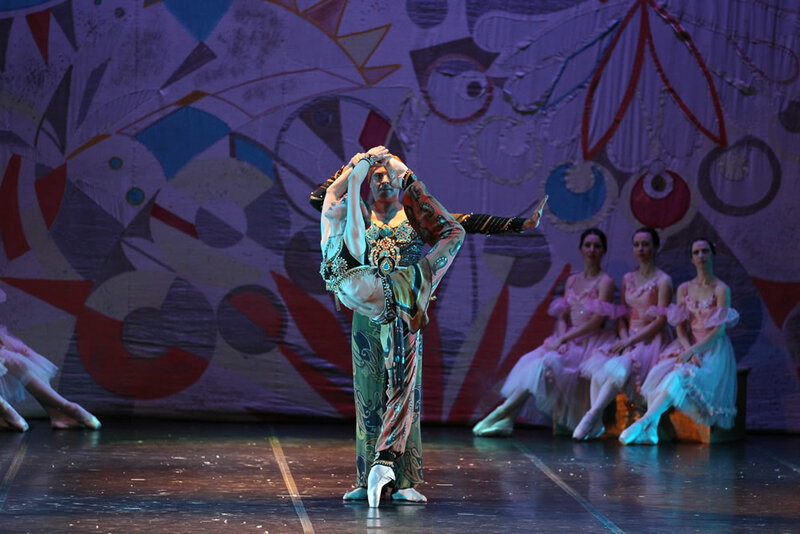 The fourth largest ballet company "Pilsen Ballet" is one of the oldest dance ensembles in the Czech Republic. 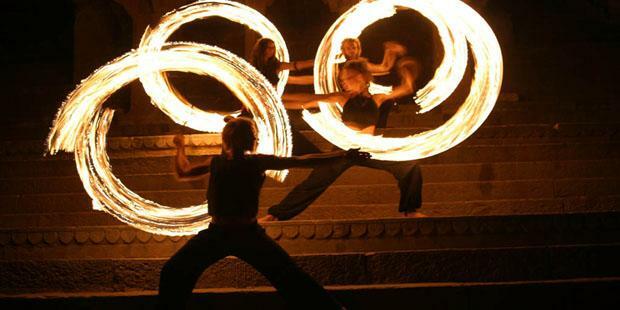 Its more than hundred-and-fifty year old history is interwoven with unforgettable dance accomplishments. During its existence, the ballet company of the European City of Culture 2015 - Pilsen – has gained a stable and highly valued position in the Czech dance scene. Since its early beginnings, many of the then major European ballet masters and choreographers, who had staged famous ballets, collaborated with the ensemble. The Pilsen Ballet passed through the turbulent history of the 20th century virtually untouched to become, now, in the new millennium, an ensemble recognized not only in the Czech Republic but also abroad. Currently the company has flourished under the tutelage of a leading Czech dancer and choreographer, Jiří Pokorný. A long-time soloist of the National Theatre, winner of several prestigious dance awards, and acclaimed director of the Pilsen Ballet, he is the author of many important choreographies for the Josef Kajetán Tyl Theatre Ballet Company, (and other companies) such as Cinderella, Macbeth, Spartacus, Orpheus in the Underworld, Swan Lake, Coppélia, Romeo and Juliet, Faust, Carmen, Singing in the Rain, and Boris Godunov. 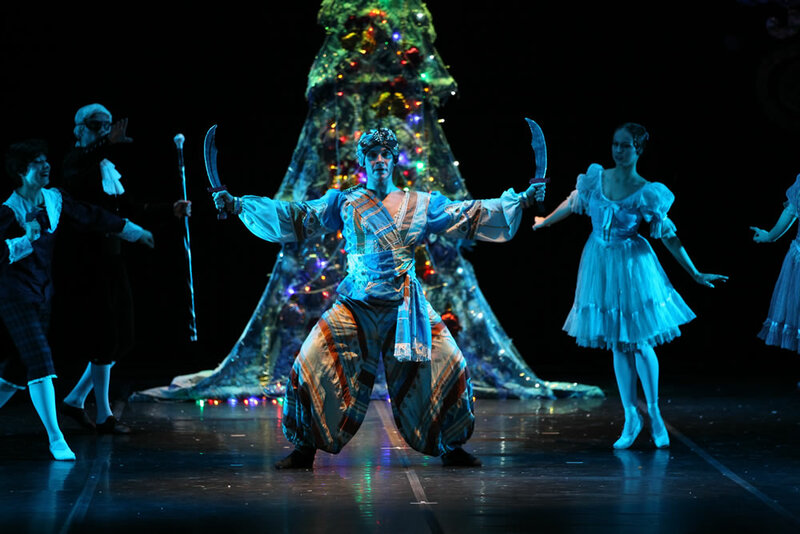 The Pilsen Ballet Company is renowned for its innovative approach to the art of dance. Its repertoire consists of works by progressive and promising choreographers who create, combine, but also break down the definitions of the locomotive dictionary of the contemporary world ballet scene. 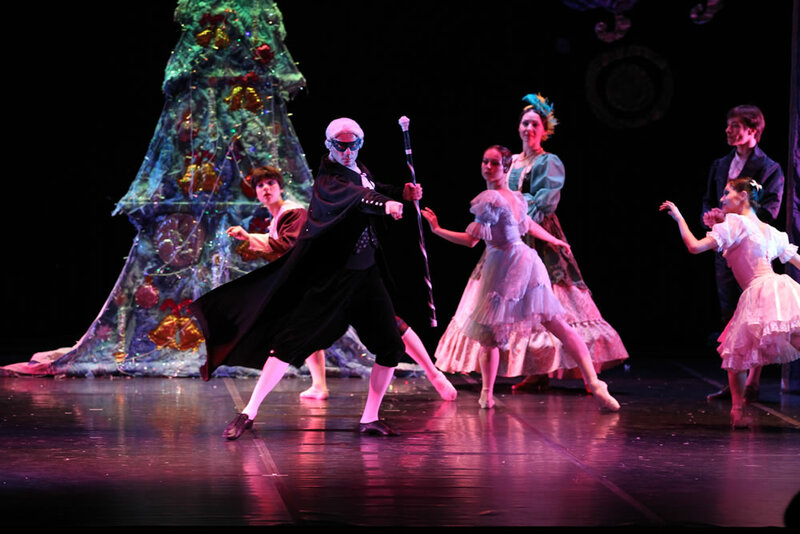 Alongside classic titles (Cinderella, Spartacus), the ensemble features productions with highly innovative ideas, whose adaptations receive incessant ovations and appreciation from both audiences and dance critics. Dancers step into the stream of new ideas with verve, and for their sincere and expressive interpretation of extraordinary works they have received prestigious dance awards and the opportunity to perform not only on many Czech stages, but on numerous international theatre stages as well. 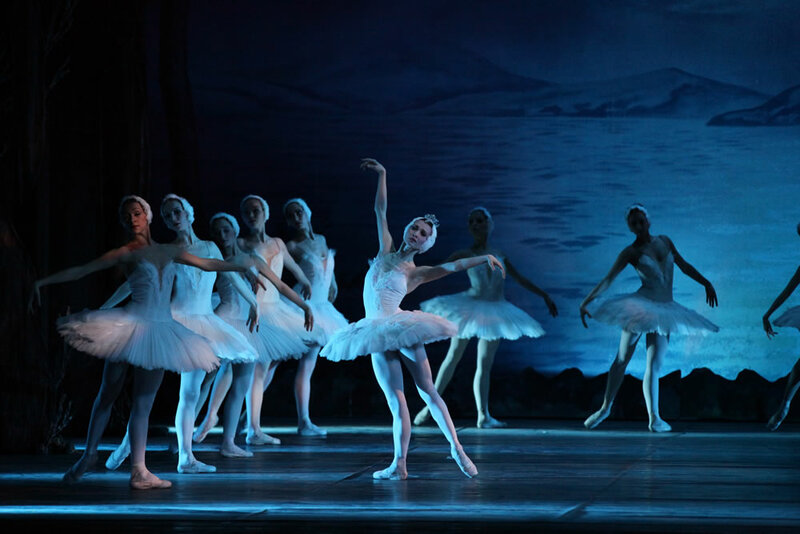 The ballet company of the National Theatre in Brno ranks among the top Czech dance ensembles. Its history, the extensive number of its dancers, and its resounding success grants it the second place in the hierarchy of Czech dance troupes. Following its operetta and opera ballet beginnings, the ballet greatly developed in the early 20th century, when the unprecedented reform of the dance took place, both upon world stages (the Russian ballet companies of Sergei Diaghilev, for instance, which performed in Brno) and rippling through the Czech pools of dance, including Brno. Since its foundation, the ensemble has been open to new and unknown ideas and abounds with the determination to venture into uncharted waters of dance art. Assertive young dancers in the ballet company, who are offered an opportunity to stage their choreographic experiments upon the Brno Ballet stage, explore an undiscovered variety of dance (and pictorial) dimensions which cannot, with a clear conscience, be left out. The current head of the ballet company is a distinctive Slovak dancer and successful choreographer Mário Radačovský. 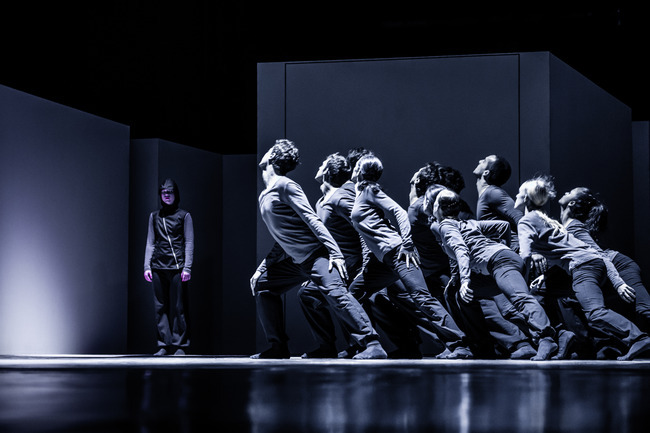 His cooperation with major choreographers (Jiří Kylián, Mats Ek, Nacho Duato, Ohad Naharin, William Forsythe) triggered his interest in creating his own productions. 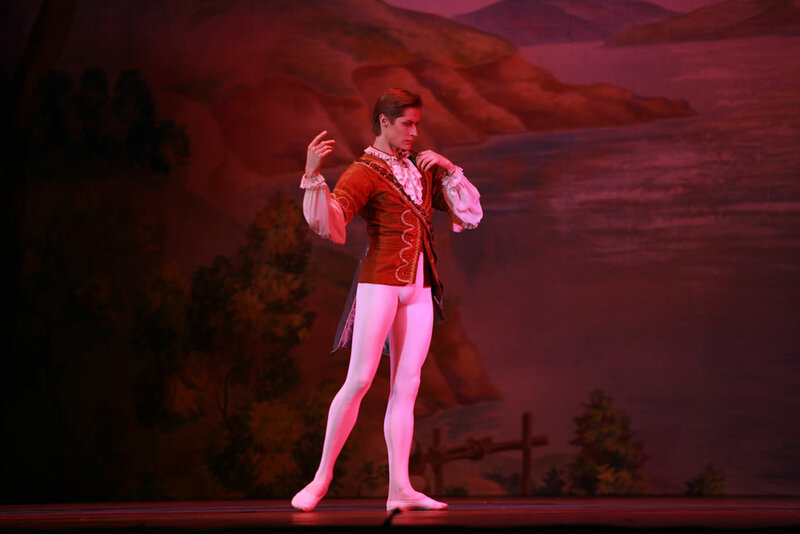 Most of the ballets which he has put together so far were specifically created for the ensemble in the United States and Canada, where the company has successfully filled millions of spectators with enthusiasm. The National Theatre Ballet in Brno maintains the traditional repertoire of European theatres. Their repertoire includes the works of classical ballet (La Bayadere, Swan Lake) as well as contemporary choreographies (Black and White, Game Over). Dramaturgy of the ensemble keeps pace with the very dynamic development of contemporary dance, and is not afraid to experiment and cross boundaries, as well to establish or suggest new ones. Dancers from several continents are both the universal interpreters of their classical repertoire roles and fearless performers of experimental works. 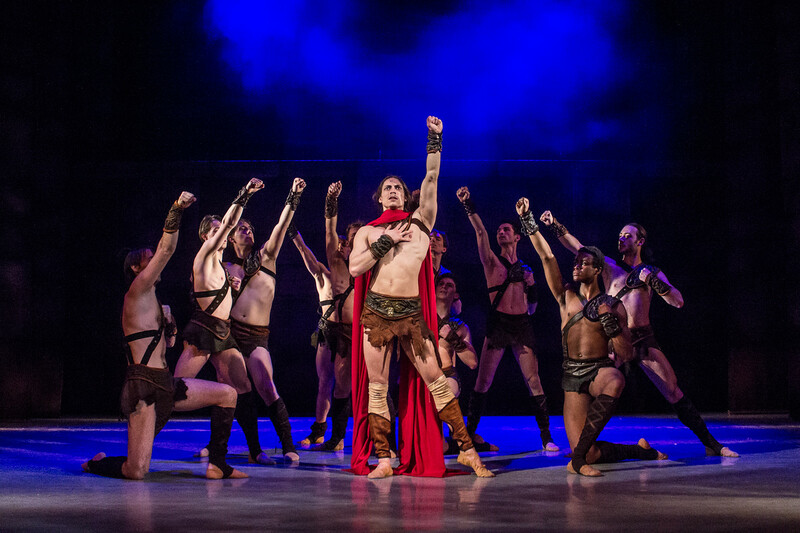 As a touring ensemble, the company has performed upon the world's leading dance stages, for example in Germany, Austria, Denmark, France, Luxembourg, Belgium, Spain, Switzerland, and Japan. 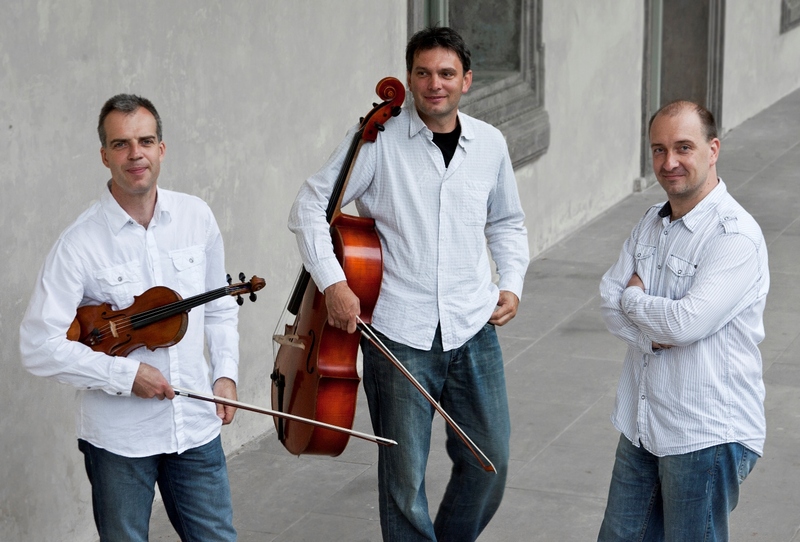 The Trio Martinů belong in recent years to among the most popular European chamber ensembles. Their long-term musical collaboration and professional relationships are a guarantee of superb musical experiences in both live concerts and studio recordings, and their interpretation of original works always carries unique insight. 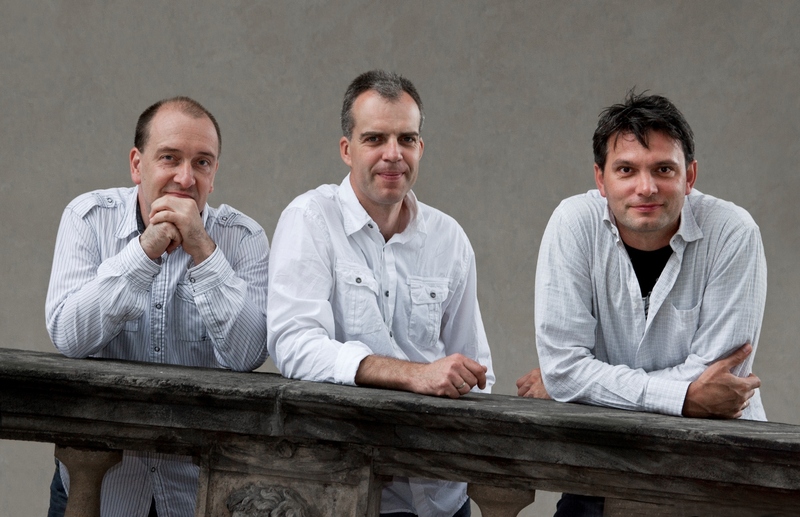 The group was formed while studying at the Prague Conservatory in 1990 and in the framework of internships and master classes they initially worked with outstanding educators from around the world (Michael Schnitzler, Sándor Devich, Antonin Kohout and Menahem Pressler). 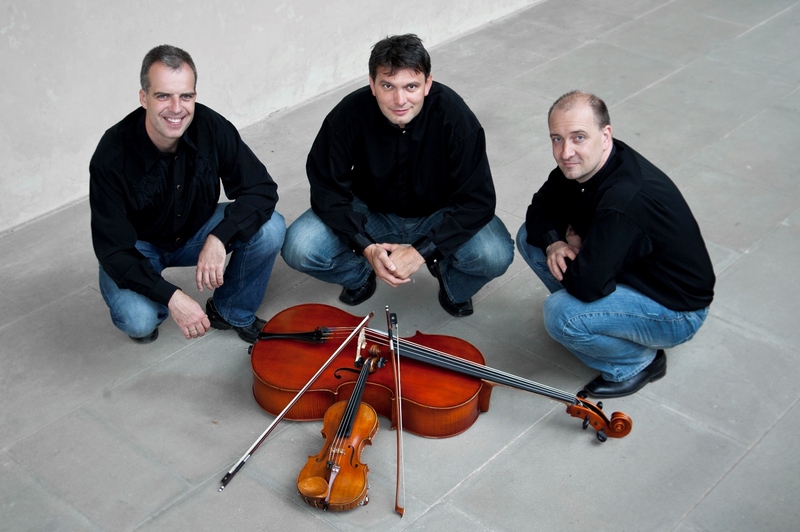 All three members, Pavel Jiříkovský (piano), Pavel Safarik (violin) and Jaroslav Matejka (cello) are also notable soloists and as TACI are regularly invited to engage in international cooperation. The Trio Martinů started their career in the prestigious halls of Europe (Prague's Rudolfinum, Vredenburg in Utrecht, Doelen in Rotterdam, ...). In October 2002, they performed at the gala concert of the Magdalena leather Parisian Théâtre du Châtelet. In May 2005 the ensemble represented the Czech Republic at the World Expo in Japan, and their performances in the Musashino Hall in Tokyo were greeted with an enthusiastic response. Thanks to previous successes today, the Martinů Trio are regularly invited to give concerts in the Netherlands, France, Germany, Spain and Switzerland. The wide repertoire incorporated into the Martinu Trio's concerts allows them to reach audiences around the world and consistently provide an authentic listening experience. Besides the jewels of Czech chamber music (the piano trios of Antonin Dvorak, Martinu, Bedrich Smetana and Josef Suk, Vitezslav Novak and Petr Eben) the group includes in its repertoire works by Haydn, Mozart, Beethoven, Schubert, Brahms, Tchaikovsky, Shostakovich and Rachmaninoff. When interpreting Beethoven's Triple Concerto in C Major, the Trio Martinů collaborated with leading domestic orchestras (The Czech Philharmonic Orchestra, the Czech National Symphony Orchestra, and the Prague Chamber Orchestra) led by conductors such as Libor Pesek, Jin Wang and Jean-Claude Casadesus. The group has also performed at many music festivals (Prague Spring, Schleswig-Holstein Musik Festival, Festival Mitte Europa Bayern ...). The Trio Martinů repeatedly records for Czech Radio and has to its credit several CDs. In 1995 the group was awarded a prize by the Czech Chamber Music Society of the Czech Philharmonic Orchestra. 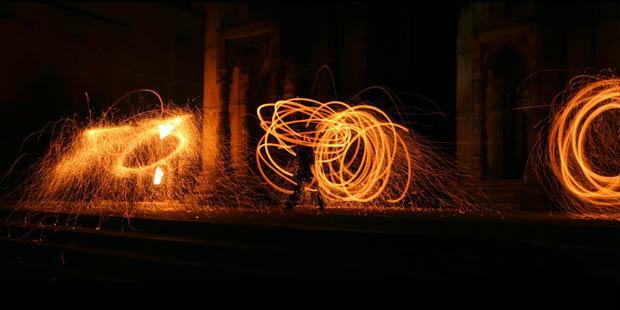 "The power and the art of fire." 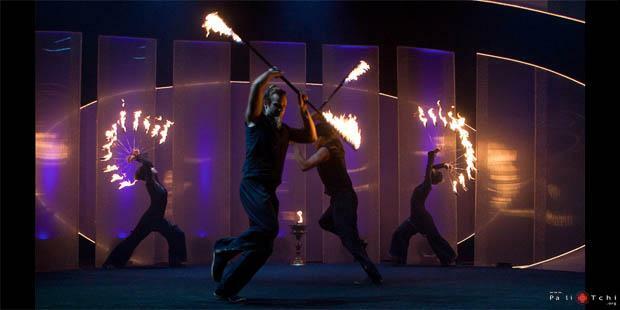 Pa-li Tchi are the longest running Czech art group engaged in performances with fire, light and pyro effects. 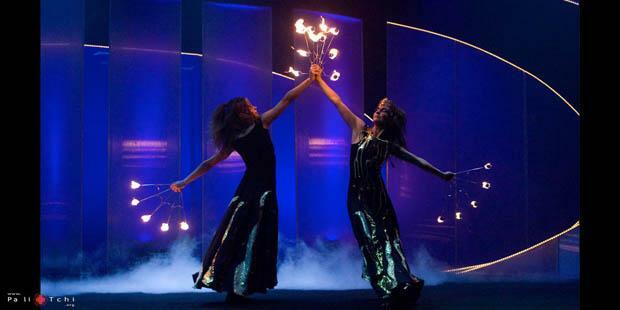 Shows of Pa-li Tchi first developed in 2000 and since that time they have carried out more than 550 successful performances in the Czech Republic and abroad (Spain, Poland, Egypt, Slovak, Germany, Austria, Switzerland, the Faroe Islands, Kuwait and India). 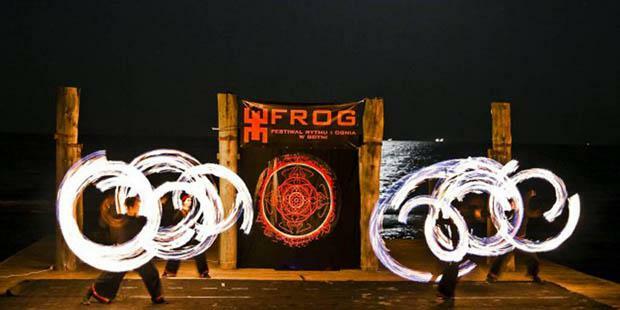 Their choreography have been developed after many years of training, testing and modifications which, by performing in different environments, they have honed to precision. 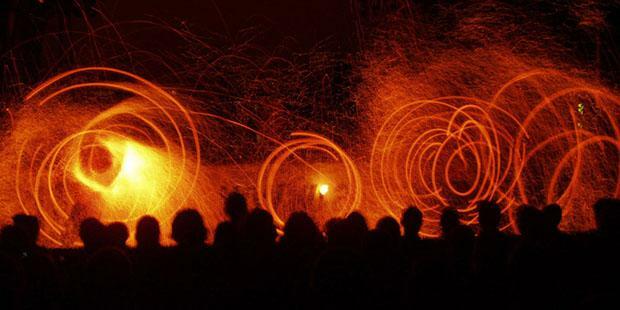 Pa-li Tchi are tirelessly traveling and discovering new horizons in their approach to fire within foreign cultures and working to develop new techniques, props, and compositions. They cooperate with ethnic musicians from all over Europe. 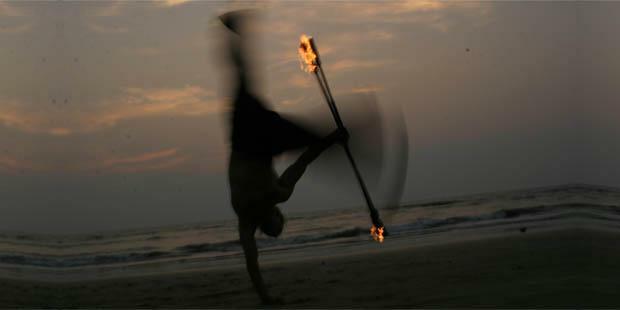 Fire shows in the concept of Pa-li Tchi perceive their dances with fire as a unique art that combines dance, North Indian Banethi fire art, acrobatics, various control techniques, fiery "instruments" (flaming swords, wings, rods, fans and steel waves) often having roots in martial arts and dynamic fiery circles of beauty which play with the contrast of light and darkness. 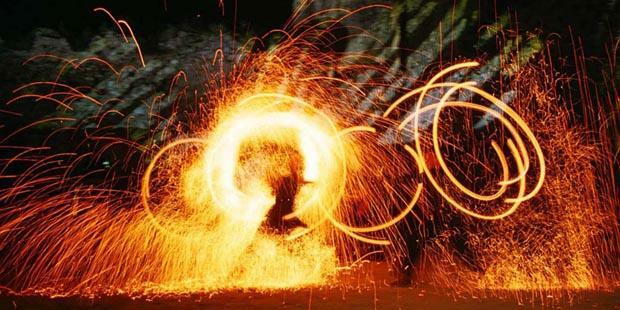 They fill spaces with music and blend modern choreographic concepts and the grace of dance with the strength and dynamism of traditional martial arts - Banethi, Maori poi and Kung-Fu. 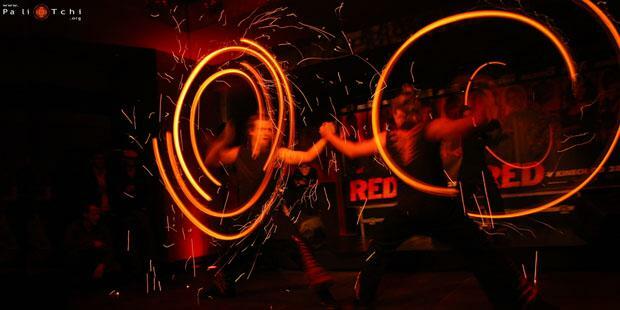 Thanks to their own original music, which is composed directly for individual numbers and choreography, and played on ethnic musical instruments, they create and perform an impressive fire show which culminates in an interconnected energetic totality. 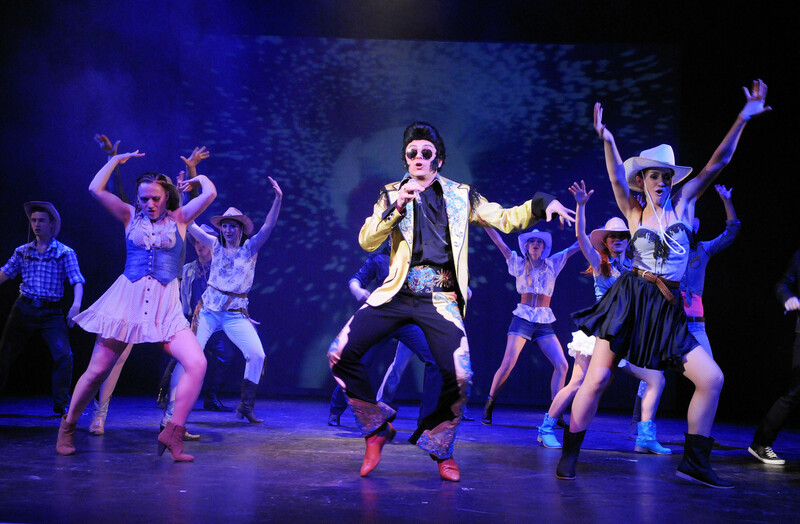 Shows can also be accompanied by other specially composed live music. 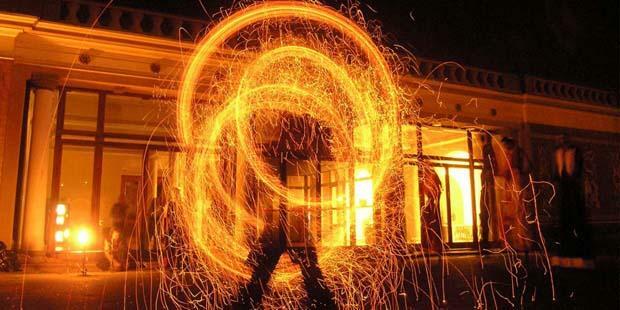 Their Light UV Light Show using modern LED technology is based on the same principles of movement and choreographic conception of art as the fire show and is particularly suitable for indoor spaces. 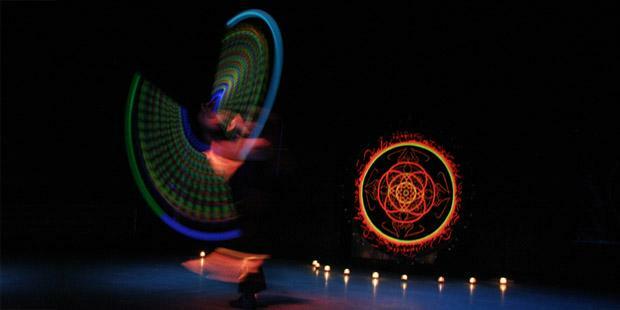 It is based on the beauty and dynamism of dancing circles of light and on the play of colors in connection with their mastery of movement techniques. 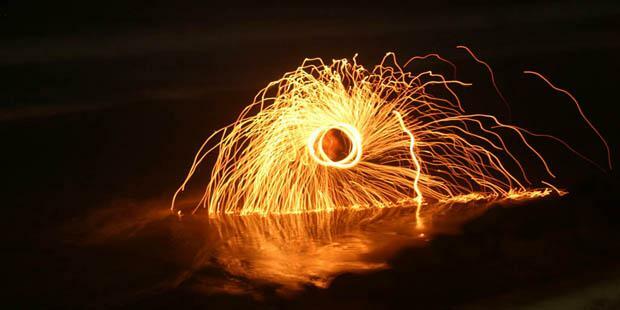 Using UV reflective flowing materials gives different dynamics that enhances the beauty of smooth circular movements. 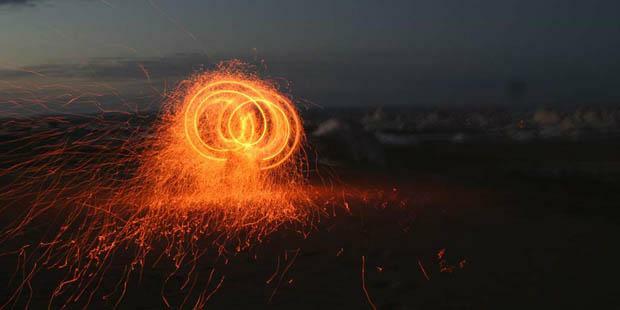 The light show culminates in the highly impressive effect of 'comets,' specially developed for interior or indoor pyrotechnics. 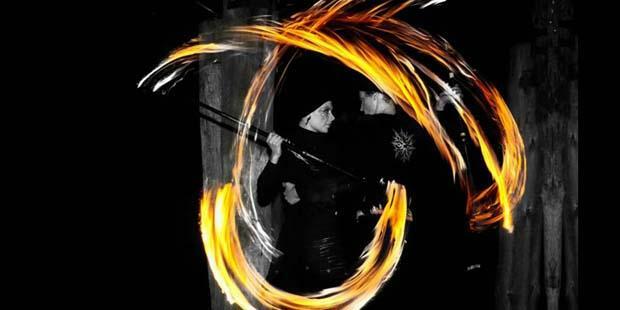 Pa-li Tchi is the only company in the Czech Republic to implement a professional fire show which is compositionally and choreographically connected with pyro-effects. They work with masters in their field: FLASH Barrandov FX. Since its foundation, the Russian Classical Ballet has been one of the most prestigious ballet companies in modern Russia and boldly builds on the deep tradition of ballet in this country. 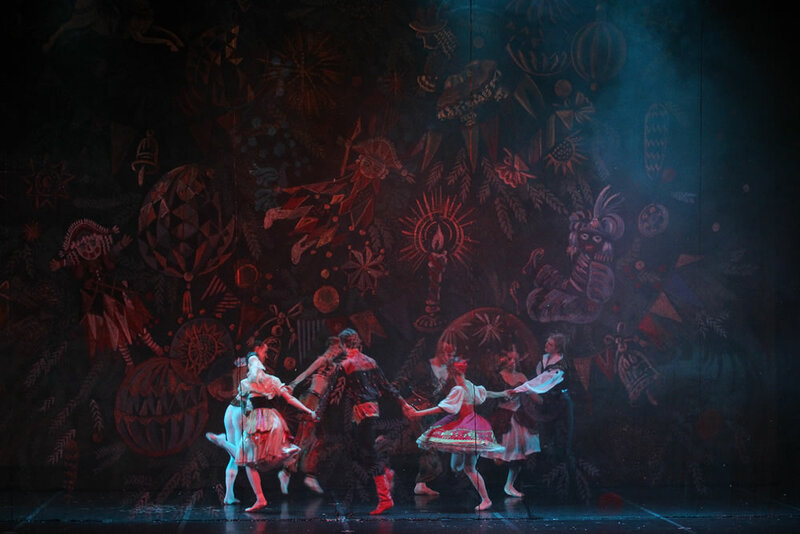 The ensemble was founded in the late Nineties by dancers from several renowned Russian ballet companies (primarily from the Bolshoi Theatre, National Ballet of Ukraine, Moldova and others) in order to spread the reputation of Russian ballet abroad. 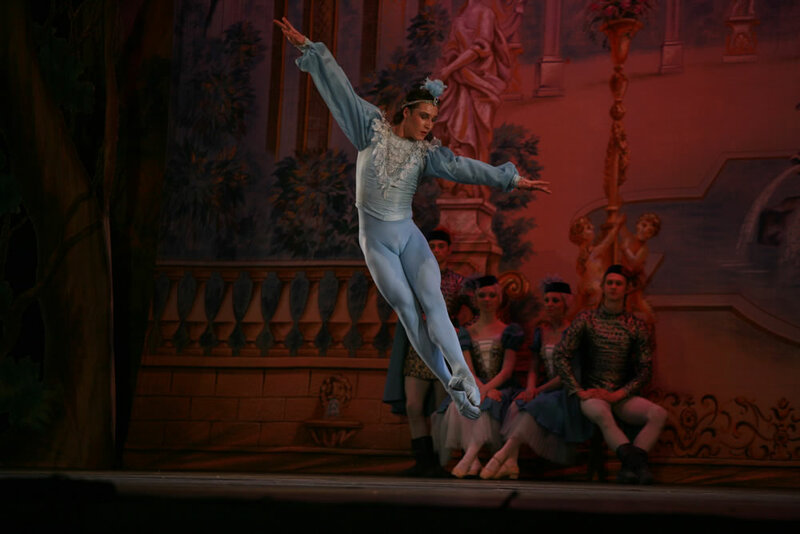 The Russian Classical Ballet ensemble is headquartered in Moscow, which also has its own art studios. 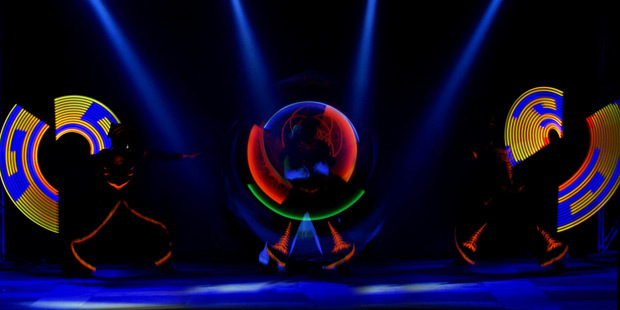 There they create elaborate costumes and impressive stage design for their performances. 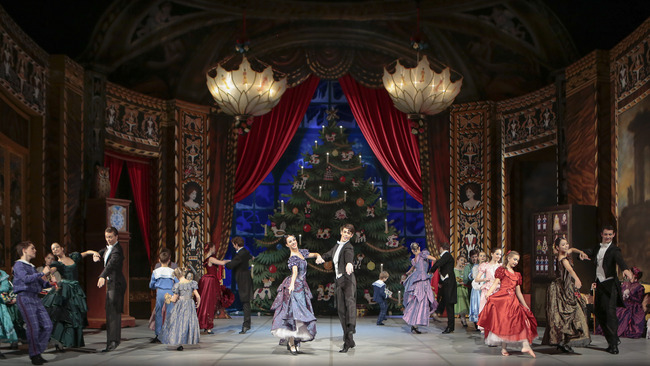 Included in their repertoire, one finds the great work of the so-called "White ballet" - Swan Lake, Sleeping Beauty and The Nutcracker with music by Tchaikovsky. The Russian Classical Ballet dancers enchant fans of ballet on many continents and have to their credit numerous successful tours, for example, in the UK, Ireland, Australia, New Zealand and China. 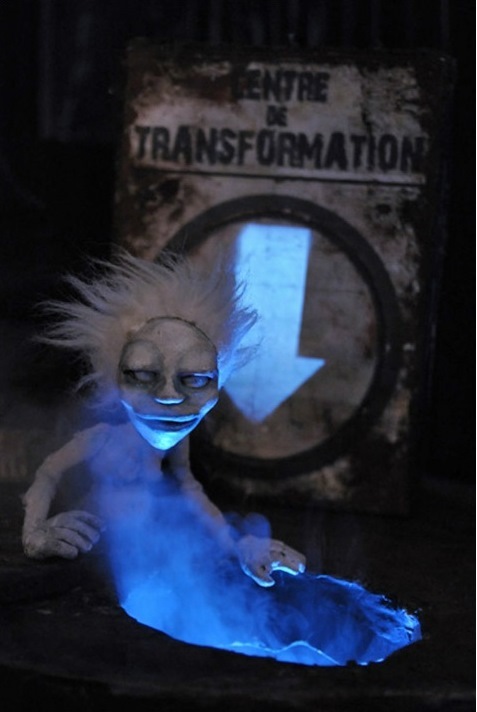 "Ghostbusters, wild puppets, and guides to the world of curiosities." 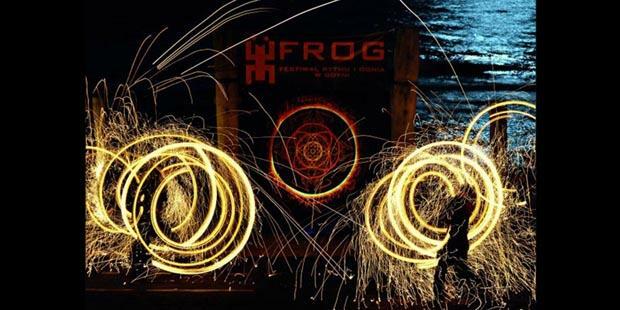 Since its founding in 1999, the Les Sages Fous has attended 179 international theatre festivals and has been consistently ranked among the most popular Canadian scenic projects in the world. 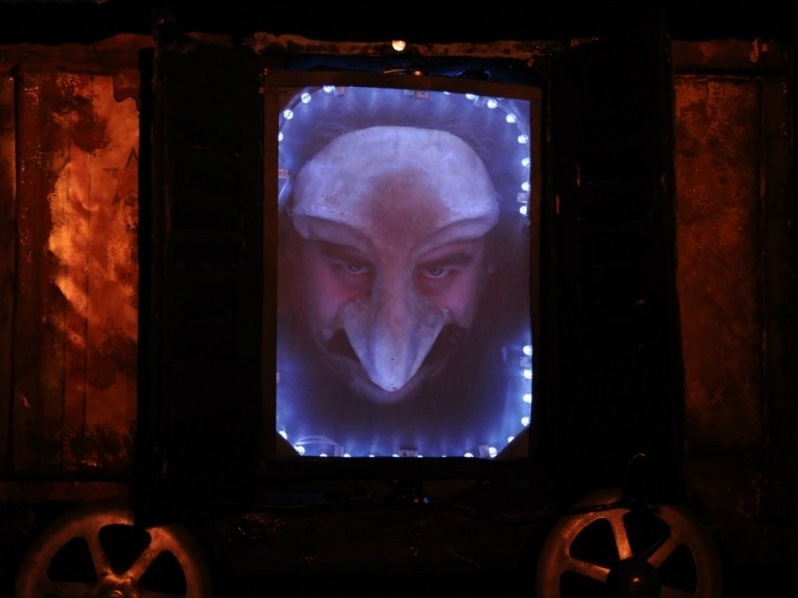 Led by an experienced puppeteer, Jacob Brindamourem, avant-garde stage designer and artist Sylvain Longpré, and South Miller, a graduate of the prestigious Playhouse School of the Theatre in New York, they have captivated audiences in 27 countries and on four continents. Les Sages Fous are the perfect stage metamorphosis. 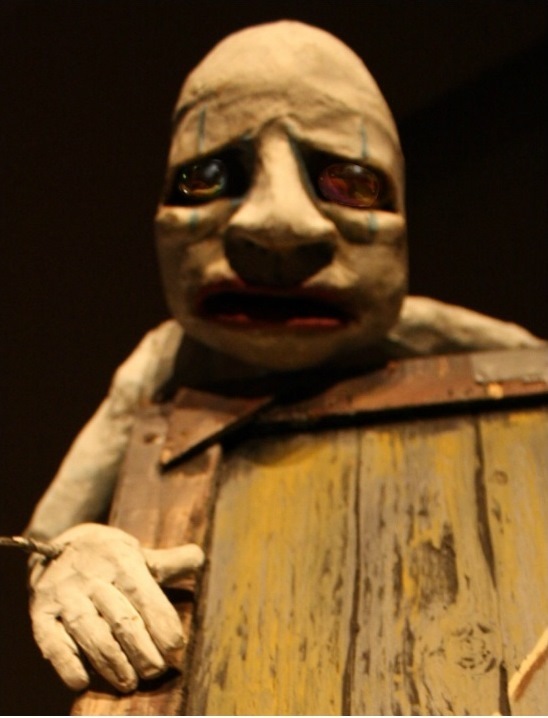 Puppet artists and conductors work closely together throughout the course of the work. 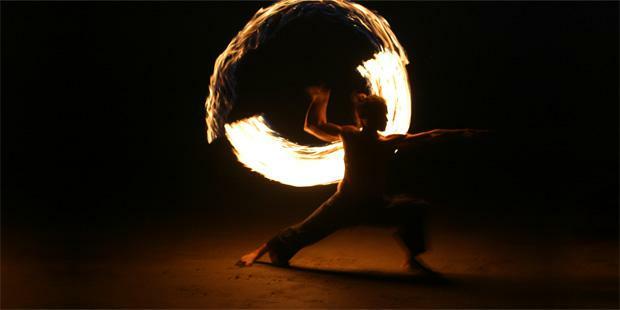 Performances are thus living organisms in constant development. 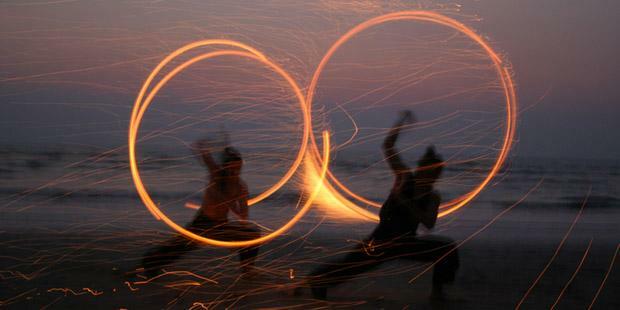 Each performance is an experiment rather than a hard-coded form. Actors always link their dialogue with the audience, which guides the transformation of each performances' key player. 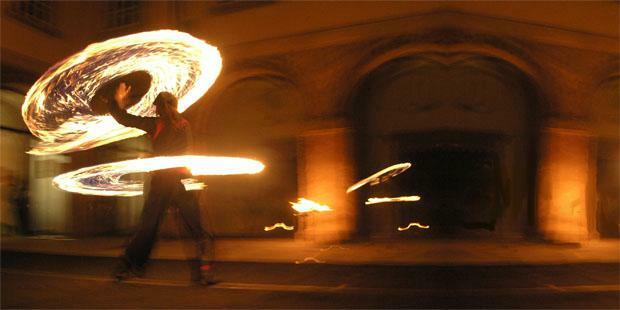 Due to the requirement of unfettered artistic creation the Les Sages Fous performances are easily adaptable even to public places and non-traditional areas. 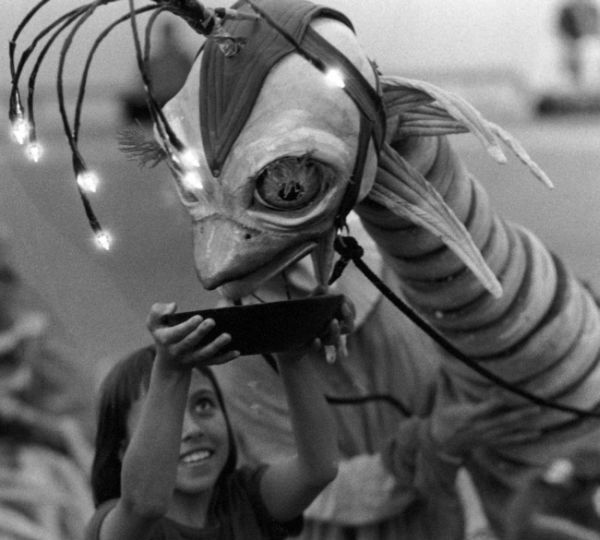 Canadian actors, right in front of the viewer, erect a long-lost world in which masks, puppets, objects and people live together. 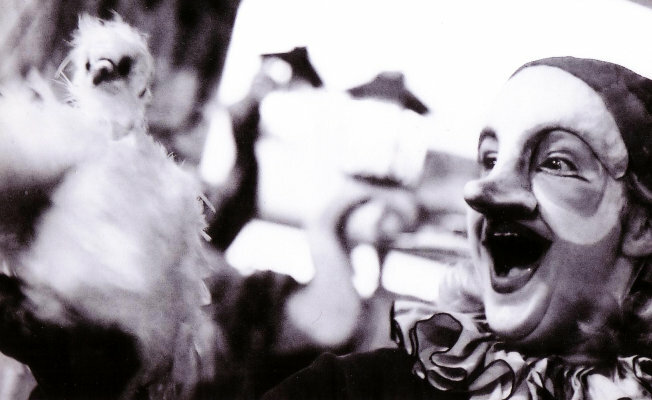 The performance Le Cirque orphelin (the orphaned circus) tells the story of the fictional circus of two impoverished junk dealers in which lonely and maladjusted subjects encounter badly formed and mutilated dolls, and together they experience the most unpredictable adventures. 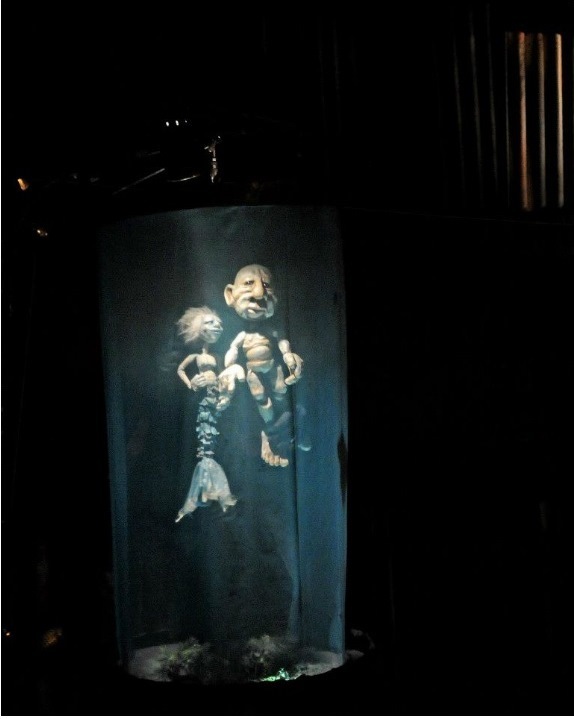 In the performance Bizzarium aquarium, a small boat floats through the underwater city to hunt their own dreams and chimeras and two divers from the underwater abyss liberate their own wrecks. 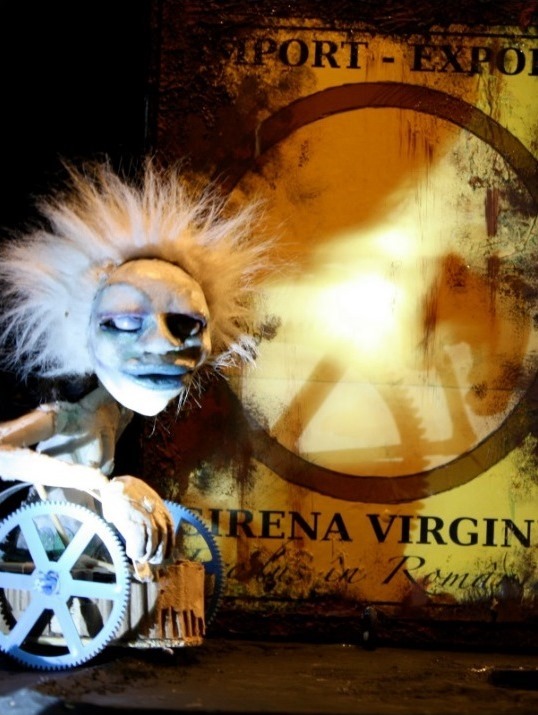 The atmosphere is carefully poised halfway between fairground fun and poetic illusions. Parade Issimo is a story about a traveling bird trainer, two lost ostriches and one scrupulously protected egg. Les Sages Fous studio is located in the heart of the historic district of Trois-Rivières in Quebec. 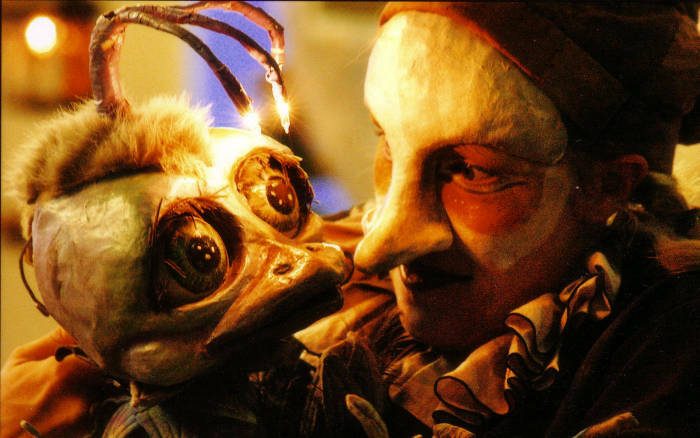 This is where specific pieces, with which the ensemble eventually travels around the world, are initially developed and performed, and where regular workshops are held in which the actors push the boundaries of their plays with masks and puppets in close communion with the audience. 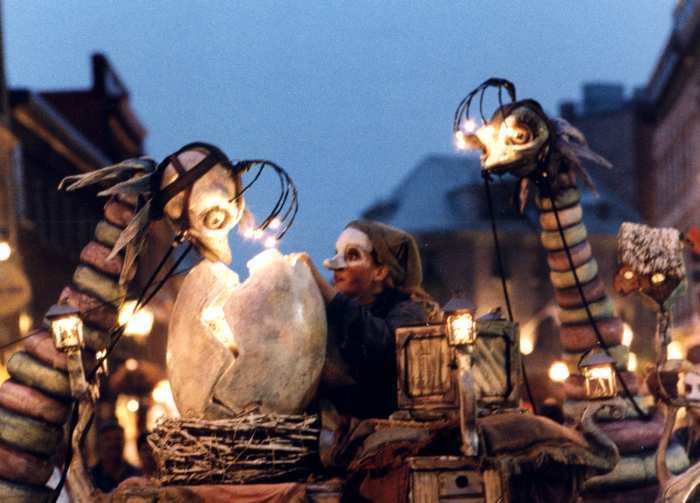 The group is also actively involved in cultural events in Quebec - once every two years they organize the experimental Minifestival of unfinished puppets (Micro-Festival de MARIONNETTES inachevées) and they are a regular performer at the street festival Saison de théâtre insolite, which takes place in the historic heart of the city. 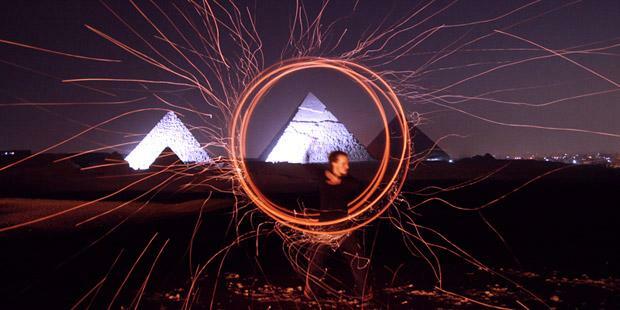 "Four voices, four hearts, four approaches to grasping melody, rhythm, mood and the creation of music." Yellow Sisters is a female vocal group whose singing passes with ease through the genres of soul, funk, R & B, world music, jazz and reggae. The Yellow Sisters are sound magicians. Experimenting with melody and rhythm, they persistently seek new ways of working with the voice. Their genuinely original production makes them the most original Czech a cappella group. Since 2005, they perform in concert halls, theatres, clubs, as well as at various festivals, whether music (Colours of Ostrava, Reggae Meeting, Sázava Fest), theatre (Summer Letná, Between Fences), or film (Karlovy Vary, MOFFOM , One World Finale Plzen, AniFest), at social events and ceremonies, exhibition openings and city festivals. In addition to their homeland, Yellow Sisters are well known in the Slovak Republic, Germany, Austria, Poland, Hungary, Sweden and Spain, the Canary Islands and in Gambia. Key events at which Yellow Sisters were featured include the launching of the One World film festival, the live TV broadcast of a significant awards ceremony, a recording grant awarded by the Ministry of Culture, performing in the BBC documentary Michael Palin's New Europe, hosting the show CT Night with Angel, performances in the large hall of the Lucerna with the world famous Blind Boys of Alabama, a song on the occasion of Bobby McFerrin's concert at the Prague Congress Centre, an hour long show on BBC London radio, and performing at the Czech Ball in Brussels on the occasion of the inauguration of the Czech Republic to head the Presidency of the European Union (2009), where they performed in costumes made by the designer Liběna Rochová. During their colorful artistic career, Yellow Sisters collaborated with the singer, multi-instrumentalist and composer Petr Wajsar alongside Jaroslav Dusek, a blind African singer Solo Dja Kabak, with film composer Varhan Orchestrovič Bauer, and with Magic Band - an international project, involving musicians from around the world (Mexico, Gambia, Canada). 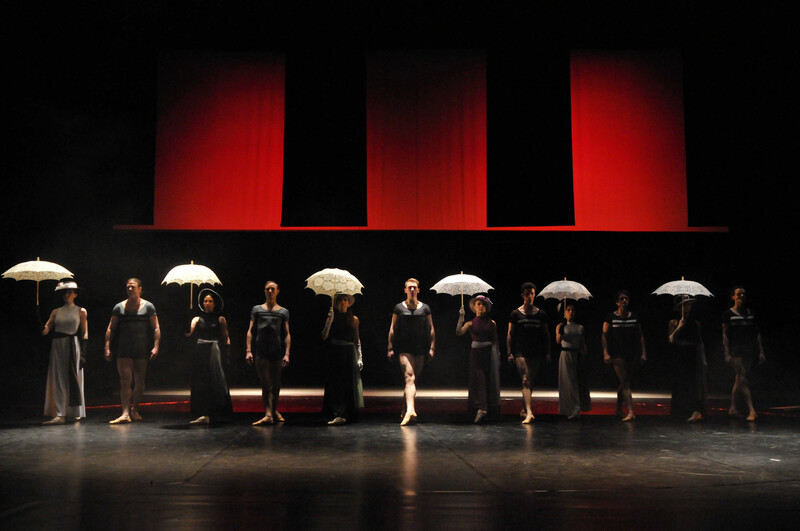 The group also participated in stage projects such as "Senegal Meets Prague" (2006) in Ponec theatre, inspired by traditional African music and dance, and the theatrical performance "Fragments of Life" (2008). Yellow Sisters also holds regular workshops in voice and are open to purely improvisational evenings during which they experiment with their own music production and make up impromptu songs on the spot for the here and now, and which often involve their audience. The group has three CDs to their credit. Singalana album (2006) was created after winning the competition at the festival Colours of Ostrava. Extraordinary response followed the recording of their second CD, Tubab Woman (2010), which was ranked in 7th place of Spin The Globe's Top 10 World Music Albums. Their most recent, colorful album Zvěřinec (Animal House) (2012) is dedicated to children and their adults. Yellow Sisters offer 60-80 minutes of a varied program consisting of multi-genre original songs and improvisations, and a new children's show with songs from the album Zvěřinec (Animal House). From the time director Milos Forman chased the child actor through sets on his Oscar-winning film Amadeus he was “due to his gifts in piano and violin” chosen to play a young Mozart. It has been three decades and Miroslav Sekera remains one of the most remarkable personalities of our young piano generation. His playing, which is characterized by a sense of color and uniqueness of expression, caught jurors of the International Johannes Brahms Competition in Portschach, Austria enough to take home the top prize in 2002. He had already gained awards at major competitions at home and abroad, such as the Fredrik Chopin Competition in Marienbad, his prize in the Academy of Performing Arts (Yamaha Scholarship), or his prize at the International Competition in Gaillard, France. He has been playing the piano since he was three years old when his extraordinary talent was first discovered by an excellent teacher, Professor Zdena Janžurová. Alongside the piano, he began studying violin. Playing both instruments devotedly led to his acceptance at the Prague Conservatory, where he decided to focus his study solely on piano. 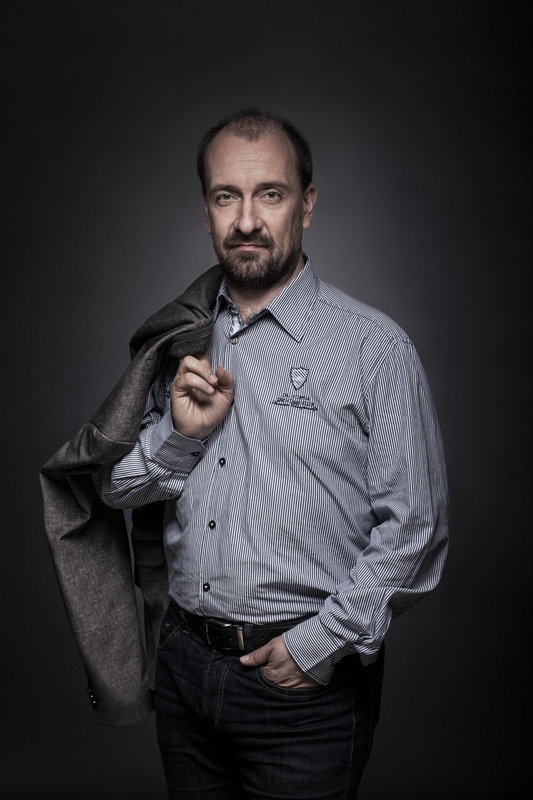 He was accepted into the class of Professor Eva Boguniová. Throughout his studies, he also attended the class of Professor Martin Bally. He continued at the Music Faculty of the Academy of Performing Arts in Prague, with the Associate Professor Miroslav Langer. He completed his studies in 1999 with the diploma of the most proficient student. 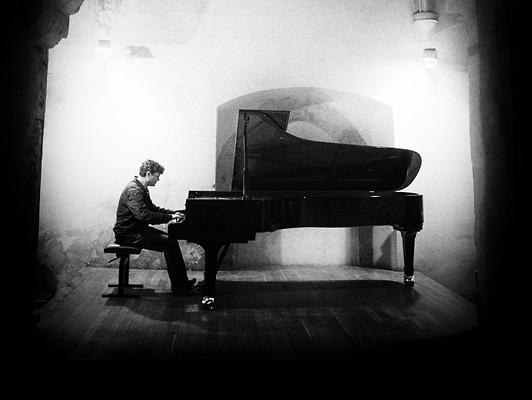 In 2006, he released a solo CD with Multisonic with the support of the Czech Music Foundation featuring works by Johannes Brahms, Domenico Scarlatti and Moritz Moszkovského. For the contemporary Boston composer Joseph Sumner he recorded two CDs in the USA issued by the Albany Records record company. He regularly cooperates with Czech Radio. In 2012, for the second time, he played as a soloist with the Prague Symphony Orchestra. He currently performs concerts in the Czech Republic and abroad. "Music knows no compromise. An audience should not only be affected by the musician's skill, but also by the power of his personality." 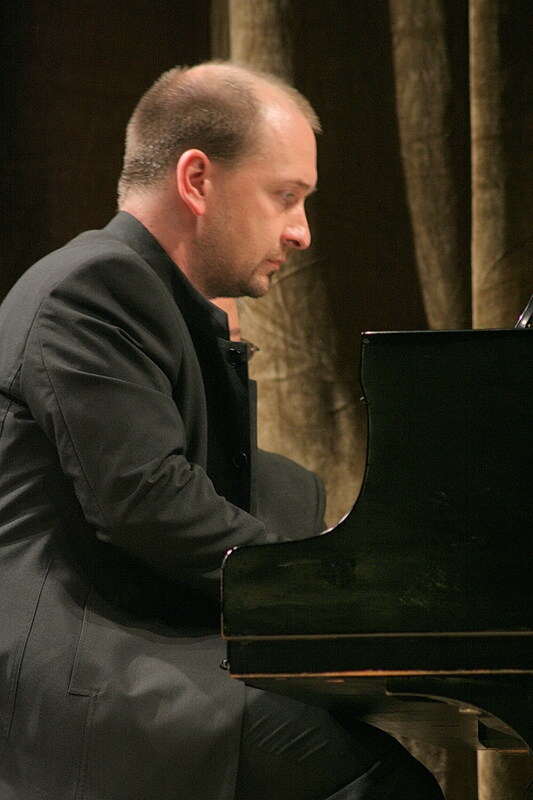 Pianist and conductor Petr Jiříkovský (*1971) is among the most prominent Czech artists of the middle generation. Playing the piano from an early age under the guidance of Zdeny Janžurová, Emil Leichner and Ivan Klánský, his later musical experience deepened during his studies in Paris (with Eugen Indjic and Itamar Golan) and Vienna (with Michael Schnitzler). 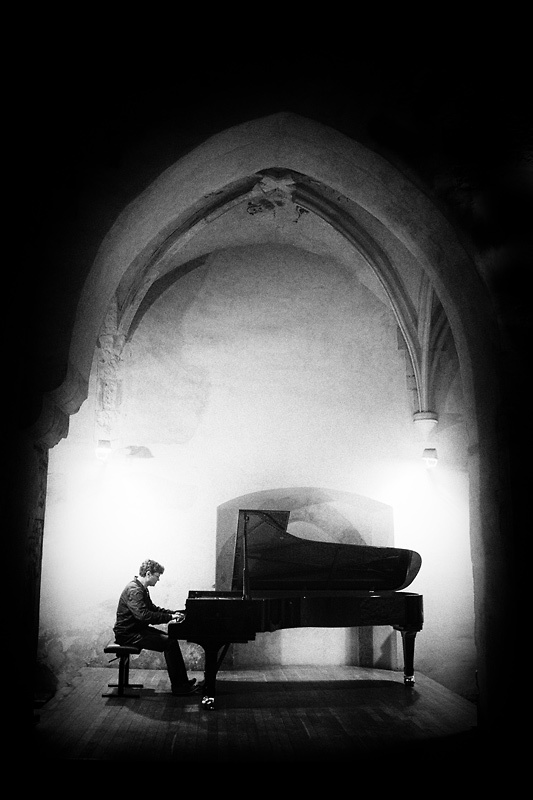 His convincing piano performances soon gained Peter Jiříkovský an international reputation that allowed him to take to the stage of top concert halls in Europe, USA, South America and Japan - his performances have been heard at the Mozarteum in Salzburg, the Théâtre du Châtelet in Paris, Doelen in Rotterdam, the Kennedy Center in Washington, Teatro Alfa in São Paulo and the Suntory Hall in Tokyo. 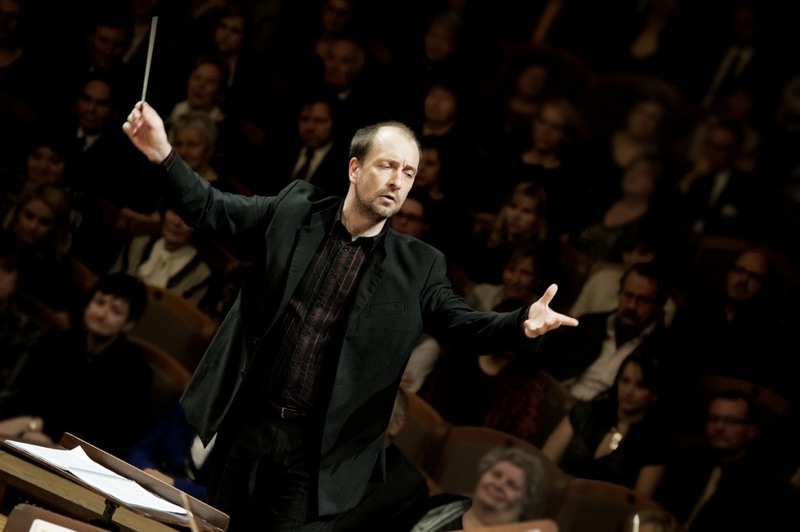 As a soloist, Peter Jiříkovský has worked with all the leading local orchestras (the Czech Philharmonic, the Prague Symphony Orchestra, Prague Philharmonic and the Talich Chamber Orchestra) and with excellent conductors such as Jiri Belohlavek, Libor Pesek, James Sedares and Jean-Claude Casadesus. His cooperation with world-renowned Israeli violinist Shlomo Mintz, which was launched in 2007 after a successful tour of Argentina and Brazil, brings repeated invitations to prestigious stages around the world. As a sought-after chamber musician, and a longstanding partner of the Czech violinist Pavel Šporcl, he is also a member of Martinu's Piano Trio. 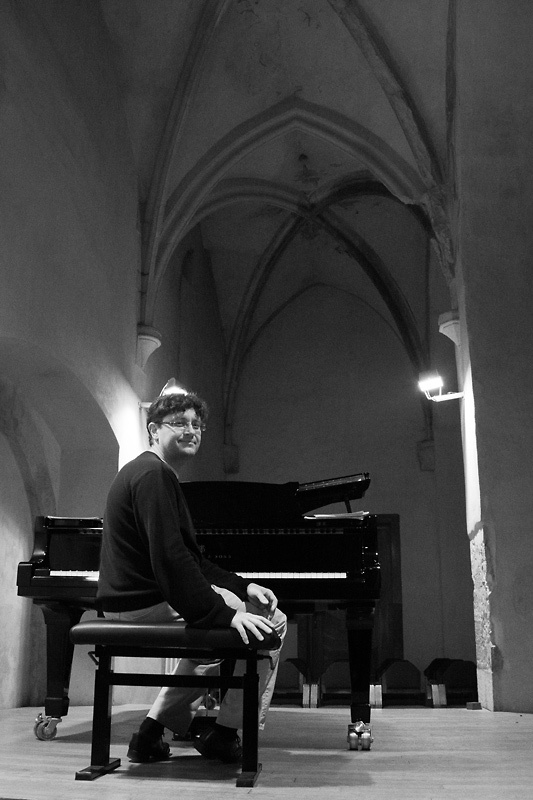 Peter Jiříkovský's recitals have been heard at many international festivals, headed by the Salzburger Festspiele, Schleswig-HolsteinMusik Festival, Schwetzingen Festspiele, Festival International de Musique de Sion-Valais, Festival International de musique classique de Colmar and the Kyoto Autumn. Domestic audiences had the opportunity to meet his recitals as a soloist at the Prague Spring Festival or at the prestigious series "World Piano Music" in Prague's Rudolfinum. 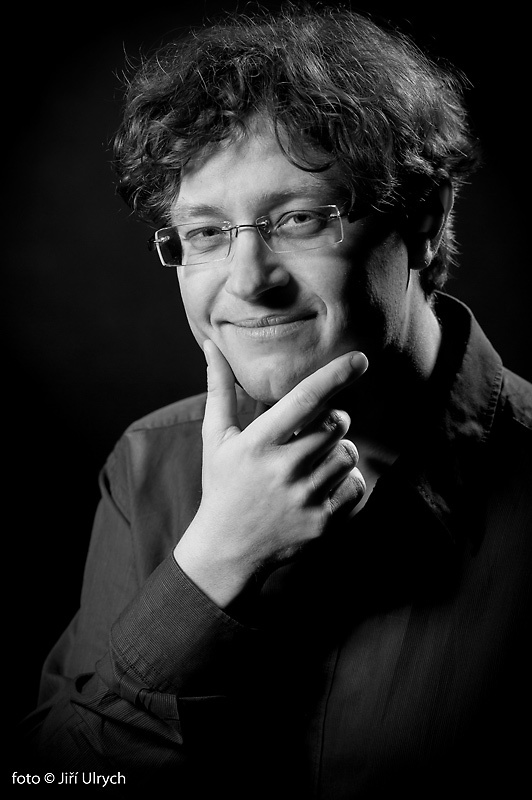 To a Czech audience, Petr Jiříkovský is also well known from numerous radio recordings: he regularly records for Czech Radio 3 - Vltava and Radio Classic. His recordings of cycles of Bedrich Smetana garnered high praise from foreign critics. Equally important are his recordings of the complete works of Antonin Dvorak for Violin and Piano, which was recorded with Pavel Šporcl for Supraphon and were awarded a Gold record. He has also produced numerous CDs for the Bonton label, Universal, MusicVars, and MMC. 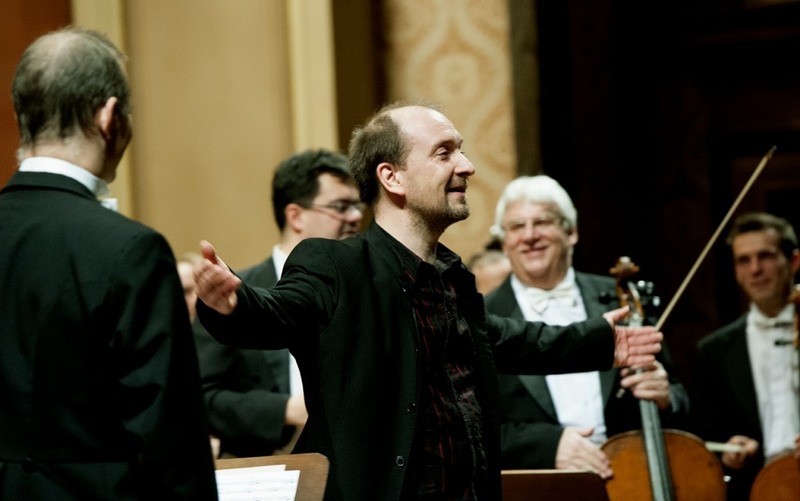 In addition to solo recitals and numerous activities in the field of chamber music, since 2008 Petr Jiříkovský has intensively developed his professional conducting career. 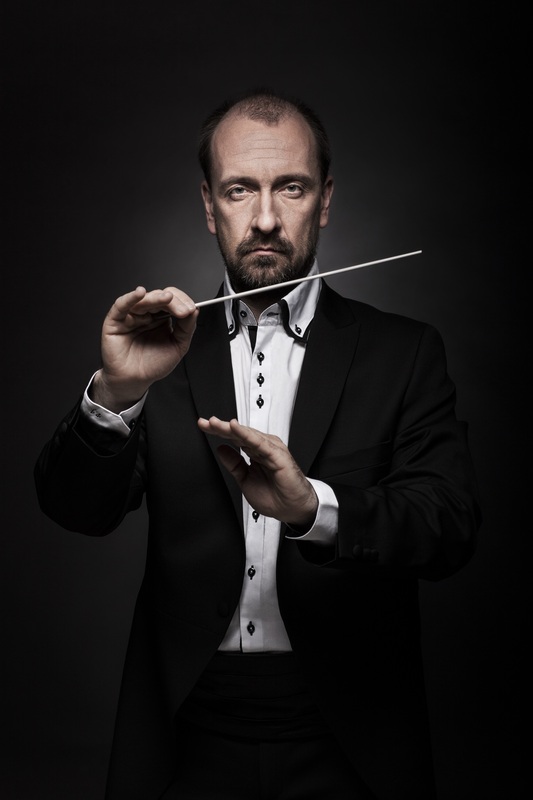 In this capacity, he is regularly invited to lead chamber and symphonic orchestras in the Czech Republic and in 2012 signed a contract as the conductor of the South Bohemian Theatre in Czech Budejovice. 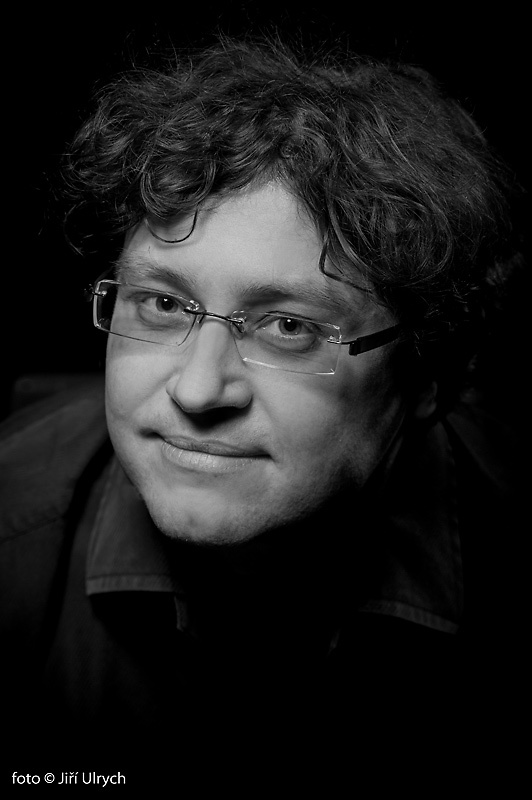 In March 2013 at the Rudolfinum he had under his baton in Prague the Ukrainian virtuoso Dimitri Onishchenko. A selection of top quality artists from art schools of the People's Republic of China presents a show which seemingly goes past the limit of human capabilities. This performance of Chinese dancers, mimes, and acrobats builds upon the more than thousand year tradition of circus arts in China, while it transmits to a contemporary audience the unique atmosphere of one of the oldest cultures that mankind has ever produced.